“Kitchen Garden to enrich elderly homes in Delhi” is a project of Community Health Department, Stephen’s Hospital. It was started in 2016, based on two years of excellent experience with “Adopt-A-Tree Project” under urban horticulture. The project is supported by Humana People to People Foundation India. To develop individual and collective ability of elderly community for environment preservation. To develop the knowledge, skills and capacity of interested elderly and community Clean and Green Activists (CCGA) regarding horticulture and kitchen garden. To hold meetings with resident elders of 10 old-age homes and to tell them the benefits of having ‘Kitchen Garden’ and to involve them in it. To do need assessment of the homes regarding the type of flowers, plants to be grown. Free health checkup of the elderly to develop good rapport and to detect the diseases common in the elderly. 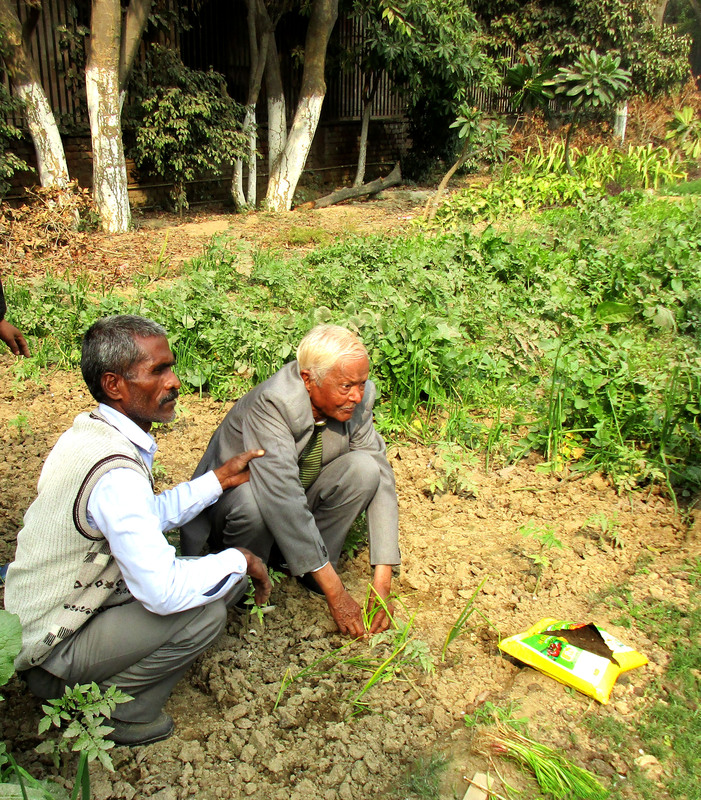 Competition among the homes to give prizes to kitchen garden which have been maintained well. To involve the Community Clean and Green activists(CCGA) to support the project and to pay honorarium to them. To give refresher training regarding kitchen garden to elderly, CCGA, child and youth volunteers, community women and staff of community health department. Planting of different vegetables, plants. Providing different tools, pesticides and manure etc. to the homes. Filling questionnaires to assess mental health of elderly. Distribution of booklets and pamphlets regarding plants. Showing them poster and charts to give training. Refreshment distribution to elderly residents and staff of the homes.